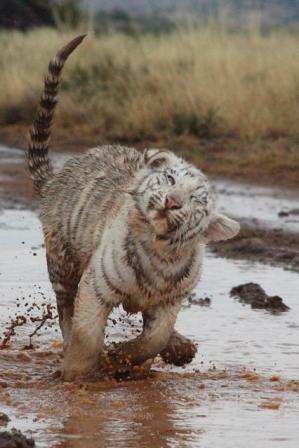 Hello Friends, the 27th of September is International Tiger Day. It seems like a good time to reflect on how the magnificent tiger is coping world wide. 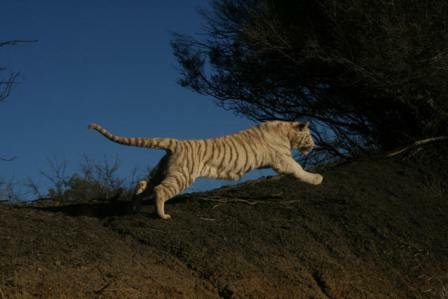 At the turn of the previous century (1900), there were reputed to be 100 000 tigers in the wild. Today this figure is around 1 000 and still declining. At the same time, human beings around the world have put 45 000 tigers in cages, safari parks and circus acts. 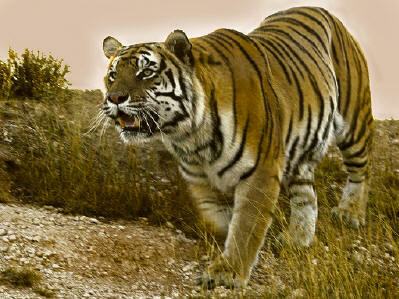 In 2007 the news leaked out that Sariska, a park in India, had lost all its tigers. It took the Indian Government a full 12 months to admit that, in fact, the tigers were extinct in Sariska. Worse was to follow. 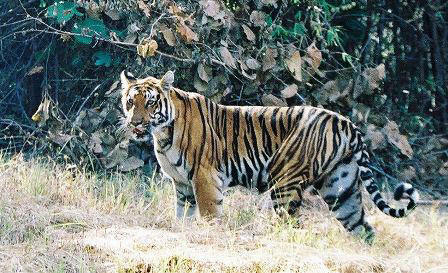 In 2009 Panna Park was declared void of tigers. All Indian parks, including Ranthambore and Kanha, have showed drastic declines in tiger numbers. Even The Sundarban's, where traditionally nature had protected tigers, ironically is threatened by rising oceans caused by global warming. In Nepal, the tigers are protected by the royal family and they have had political upheaval. 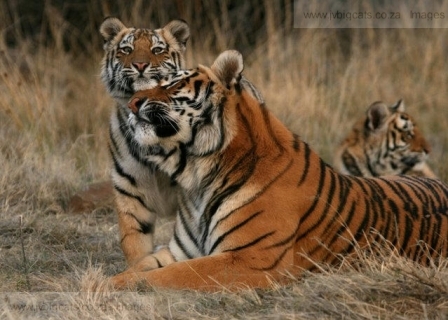 Of the other tiger countries, not one has had any success with conserving the tiger. 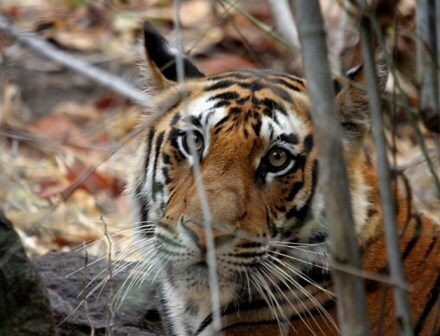 In short, there is no commitment from government and no master plan to save the tiger in Asia. The tiger is worse off than it has even been in its entire history. At the same time, human populations in Asia have risen exponentially. India (1,3 billion) and China (1,7 billion) alone have 3 billion people, nearly 50% of the worlds total human population. Tigers and humans compete directly for prey, space and habitat. The tiger has no chance. 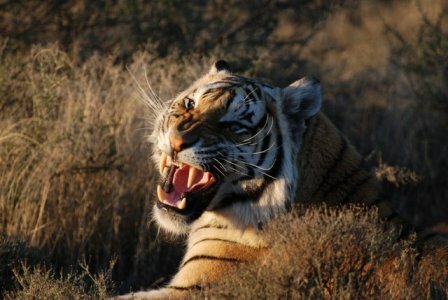 I started my tiger project in 2000 when there were reputed 5000 tigers still in the wild. This number is now 1000 and declining. 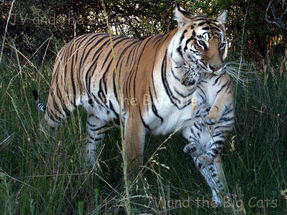 In South Africa, several tiger supporters have invested time, expertise, land and money in the tiger. 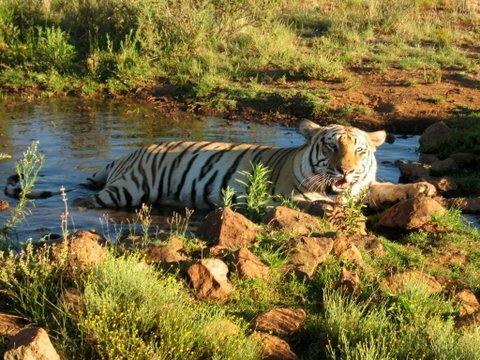 During 2010 we will see the emergence of two satellite tiger sanctuaries to Tiger Canyons in other provinces of South Africa. 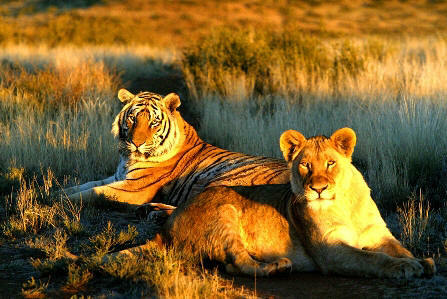 The first of these will restore the tiger and cheetah relationship which has been lost in Asia. The second will restore the tiger leopard relationship which is almost extinct. 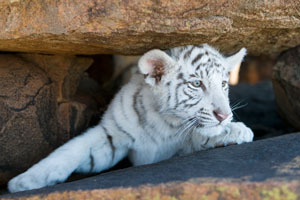 At Tiger Canyons, 8 tigers have been bred including one white cub. A global groundswell of concerned people from all over the world and especially from Asia is growing rapidly. There is outrage is India about the extinction of tigers in prominent parks. I have spent 9 years close to and living with tigers, it has been an enriching experience to work with these magnificent creatures, one of the highlights of my life. 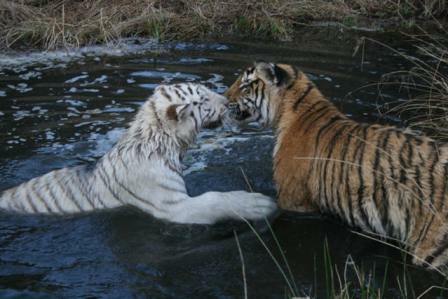 If we cannot save the tigers, I assure you we cannot save ourselves, it is as simple as that. 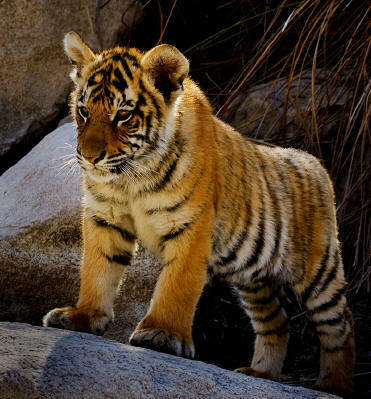 On Sunday, the 27th of September 2009, International Tiger Day, I ask you to take 16 minutes of your time and ask yourself, what can I do for tigers, how can I contribute? 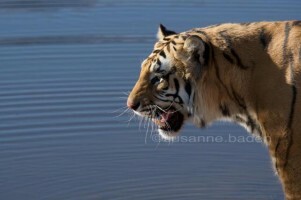 In this newsletter, I would like to celebrate the majestic tiger with you by sharing 16 pictures taken by various photographers at Tiger Canyons - South Africa, Kanha and Bandhavgarh - India. Enjoy!